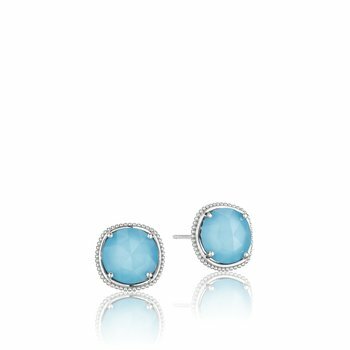 Scene-stealing studs that are sure to bring a pop of color and vibrancy to your everyday look! 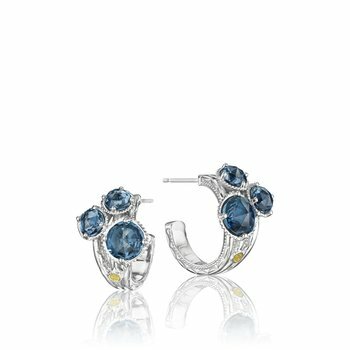 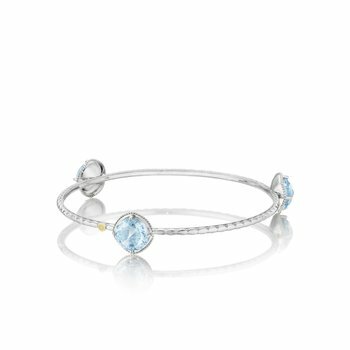 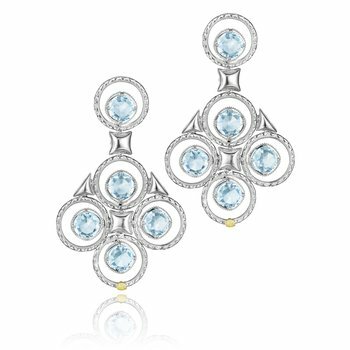 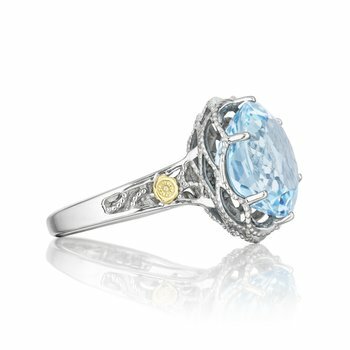 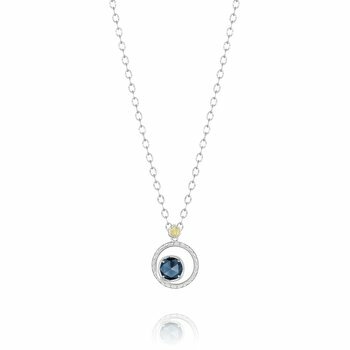 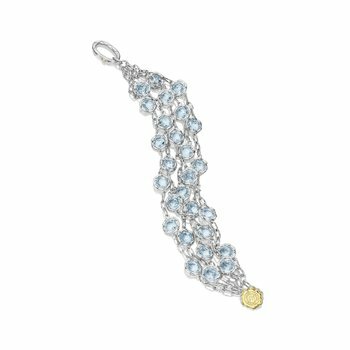 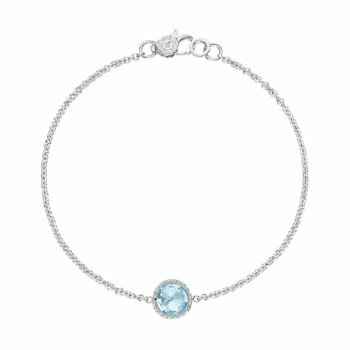 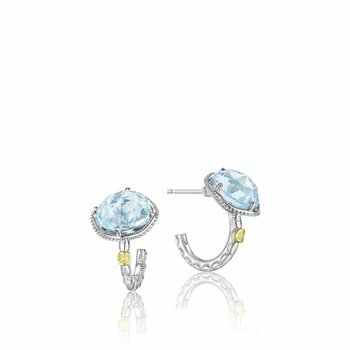 Sky Blue Topaz gemstones are bezel set in crescent lined silver baskets. 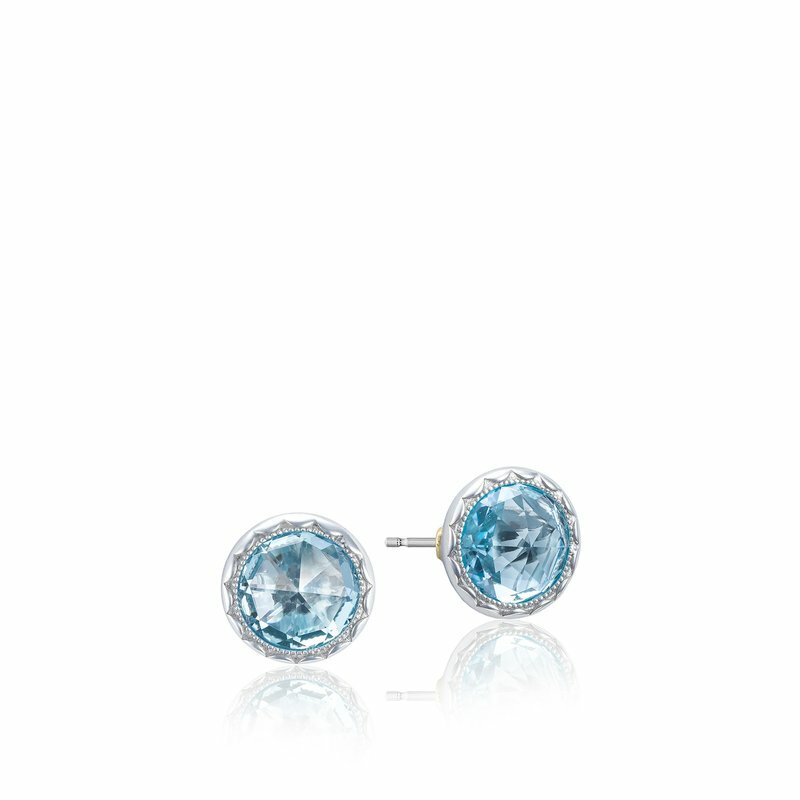 Topped off with a yellow gold Tacori gem seal, these studs are your next staple accessory.